This holiday season we are highlighting some of the wonderful patients that The Genesis Foundation is lucky enough to support at The Feingold Center for Children. Here is Avery’s story! Our journey started when we were blessed with the birth of our daughter Avery 7 years ago. It started with her falling off the growth chart and struggling to gain weight. During her first year, her pediatrician thought she was meeting her developmental goals and everything was fine. I would look at her and say to myself something seems wrong, she looked different than other babies her same age. I just could not figure out what it was. Finally a clue! We were seeing a specialist who noticed her small head … He suggested we see a neurologist. We began looking at all the pieces of this puzzle, talking to her pediatrician and spent hours doing on-line research. I noticed she had some other markers for a potential genetic disorder. We could not let go of this … me especially as her Mom had to find out how to help her and get answers. 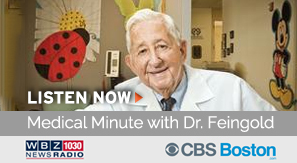 I placed a call to her pediatrician and asked that we see a genetic specialist … she said Murray Feingold is the best, but, “good luck,” I doubt you’ll get in to see him. At this point, we’d seen so many specialists without any answers that my stomach ached every day. I knew someone must have some answers. I called the office and a voice I will never forget (Caroline Hobbs) answered the phone, she asked specifically what was going on with Avery. I pretty much remembered begging and crying. Caroline said, “I’ll call you back in 10 minutes” … She calls back asking how’s Thursday? That was only 2 days away! This woman was my hero! Two days later came the diagnosis. Avery was 18 months old and diagnosed with microcephaly. What I thought would be helpful was devastating …What did this mean for her and our family? This is where Dr. Feingold, Dr. Nowak and Jessica Douglas became family to us. We looked forward to our visits at the Feingold Center, the compassion, understanding and treatment they gave to our family as a whole was incredible! The Center also coordinated and scheduled all her care with experts across the country. For every concern, big or small, our phone calls or e-mails were returned and addressed with such promptness, it still impresses me. At present time Avery is thriving in all areas of her life … except finding clothes she likes that fit her. Recently, when trying on pants she said to me “Mom I know I’m perfect, but how come they don’t make these waist bands smaller!” As parents, we are constantly vigilant with protecting Avery and her brother, Aiden. Like all parents, we want to see our children reach their greatest potential. We are honored to be involved with The Feingold Center. We also want to thank them for the peace they have brought to us and so many other families through their thorough and compassionate care. The Center serves as a model to us for how health care should truly operate and help families. Help us continue this great work, and help us support Avery and other families that benefit from the services and compassionate care provided by The Feingold Center. Please make your gift today by clicking here! We thank you in advance for your generosity and commitment to our mission.